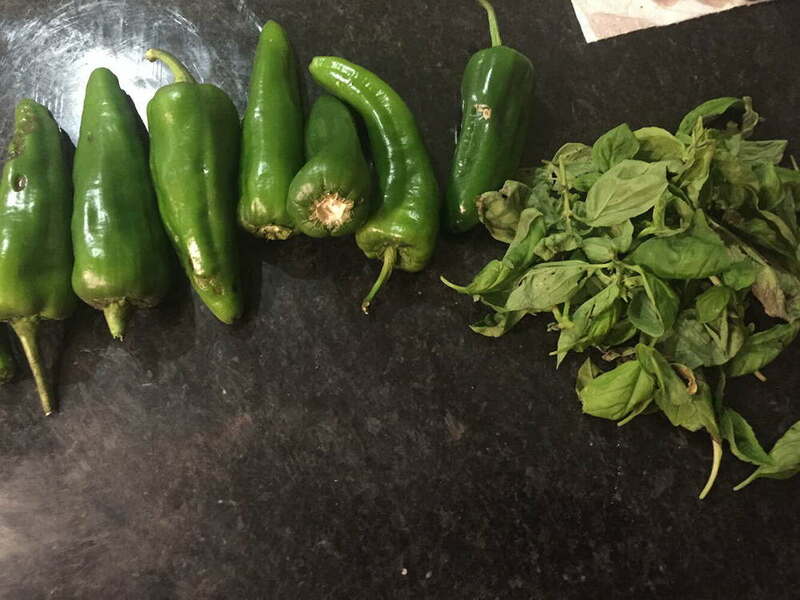 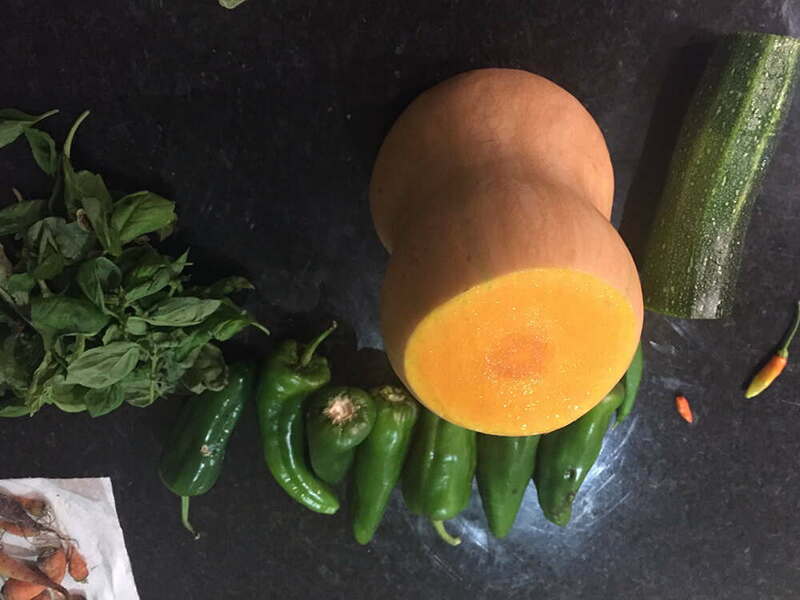 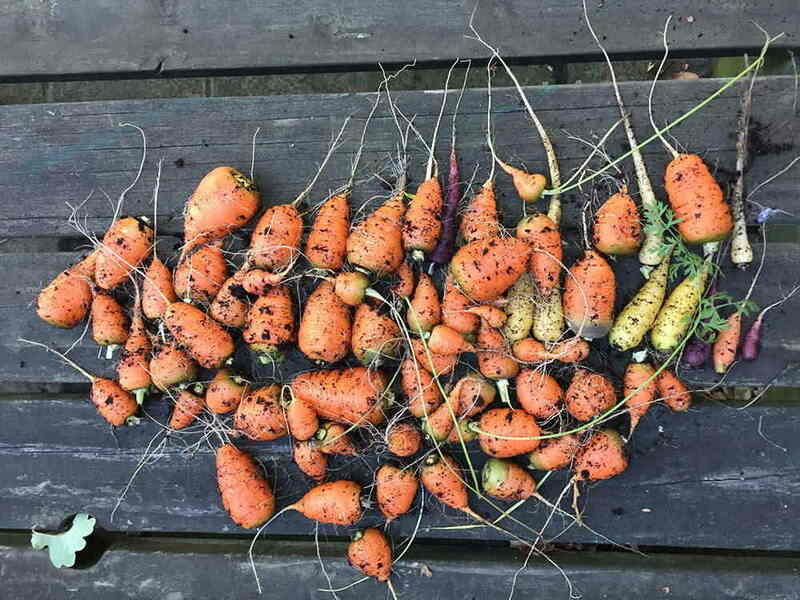 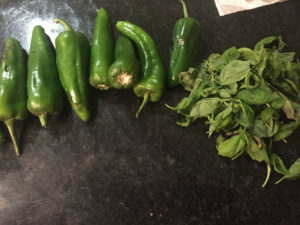 As Autumn is in full swing, we have been clearing up the garden and small veg patch ready for the rigours of winter and retrieved some sorry looking stragglers of vegetables. 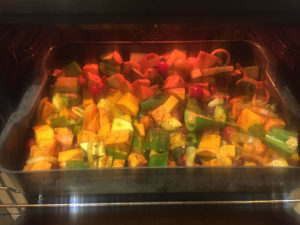 We normally have enough to use in roast dinners or other meals at this time of year, but this was a more eclectic mix so thought that we’d try oven tray baking the veg and then making into a thick, wholesome soup. 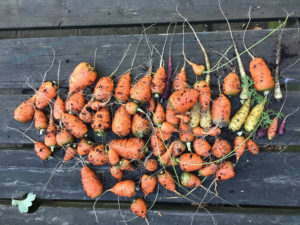 We cut the veg up into fairly small pieces and placed on the tray. We also added some extra virgin olive oil, chopped onion, chorizo, garlic and various spices such as garam masala, smoked paprika and seasoning then mixed it all around. Once this had had baked at 180°C (fan) for 30 minutes (and turning every 10 minutes or so) we added it to two pints of vegetable stock and simmered it for a further 15 minutes. Whilst the veg was simmering, the veg was fished out and and blended up. 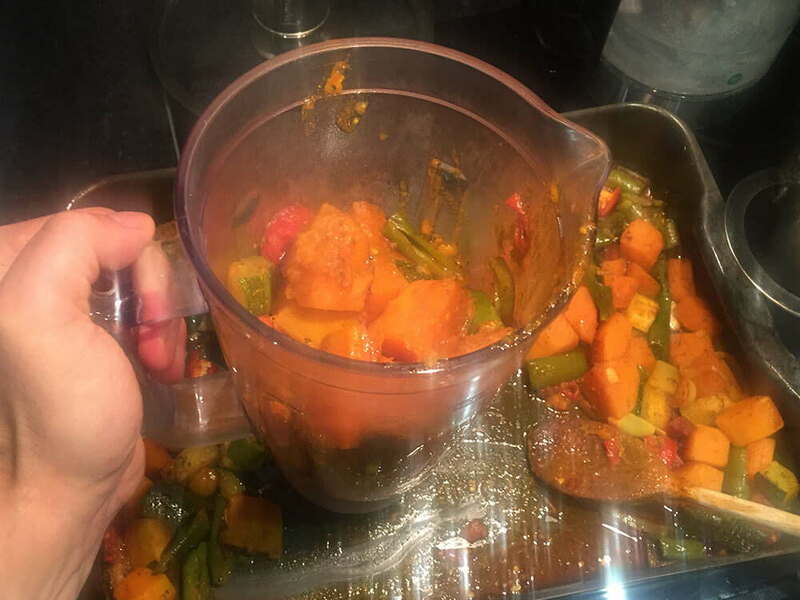 Note, do not try and put just the veg into the blender as it won’t work, it needs some stock in it! 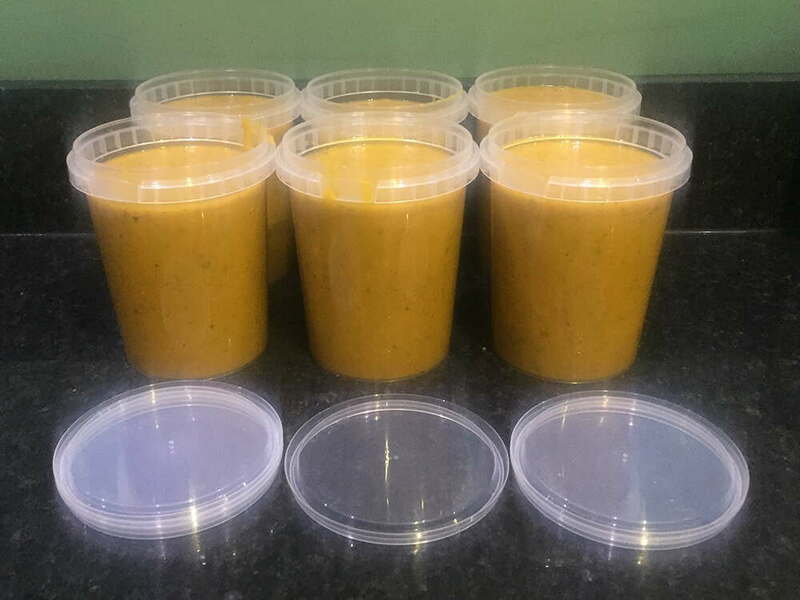 Once the soup had cooled we poured the fully blended up into our 520ml tamper evident pots so we can use them at our leisure and freeze some for later use. 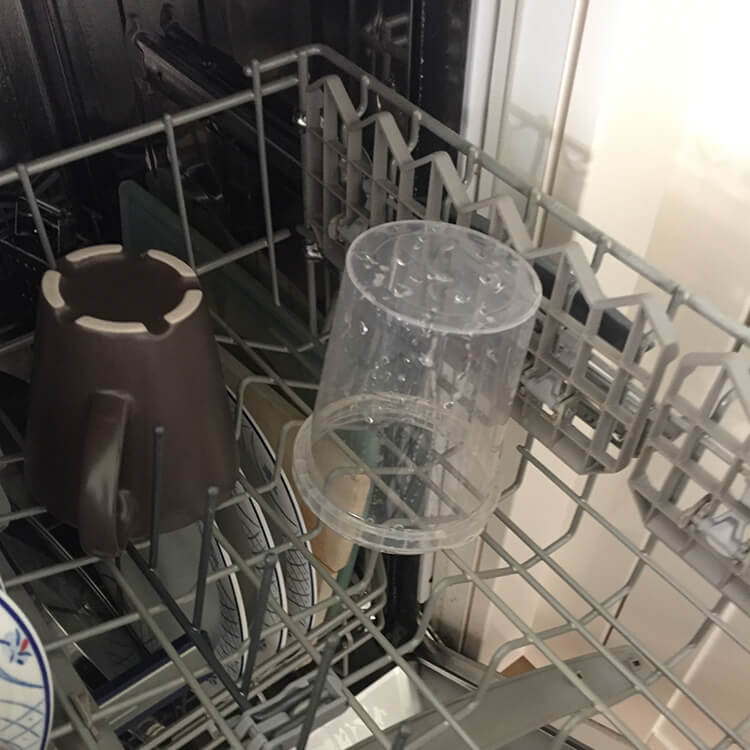 This included taking into the office and microwaving for lunch and then dish washing for (personal) re-use again – obviously as we had to break the tamper evident tab they aren’t suitable for anything other than personal use. 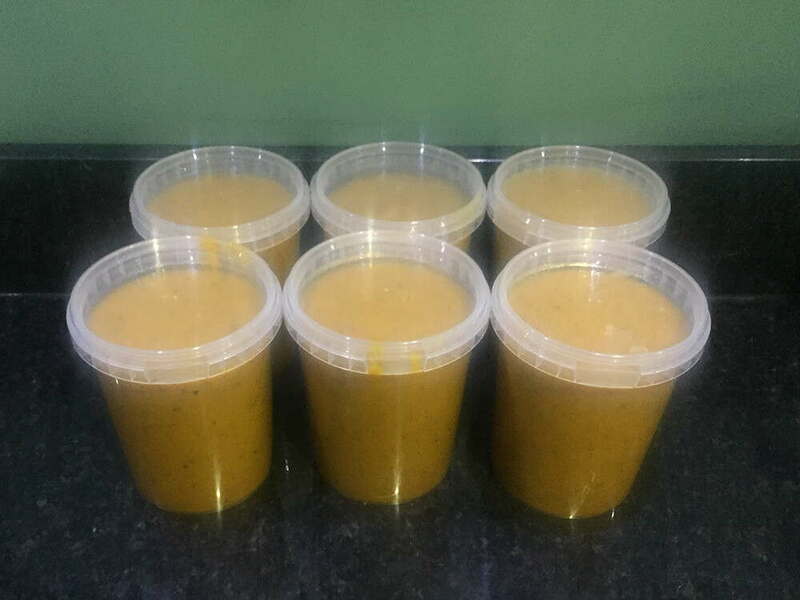 We did a similar veg soup recipe last year and this was just as delicious. 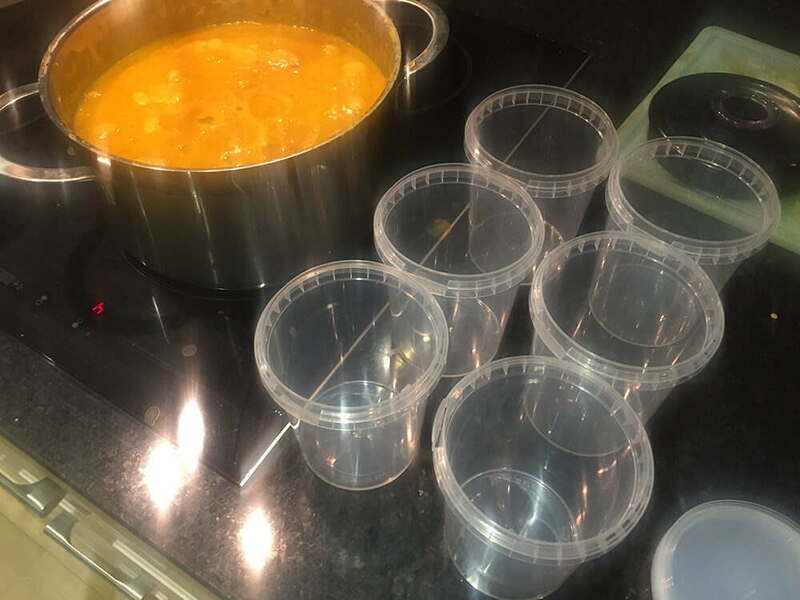 If you want a runnier soup, just add more stock.